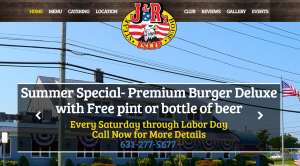 Summer Special at J&Rs Islip Steak House- Get a FREE pint or bottle of Beer with a Premium Burger Deluxe. Offer good every Saturday through Labor Day 2018. Ask your server for restrictions. Cannot be combined with any other discount, offer or coupon deal.